Just getting started, filling this in! The third book in the series takes place along the coast of California, an area I know very well. For corpse-jumping spirit Tamsin West, the afterlife bites. Hard. Captured by the vicious Prince Duprey and trapped in the body of his twice-dead daughter, Tamsin must take part in one of the Fae vampire's infernal role-playing games. Her character is assigned to a team of unsuspecting FBI agents investigating a string of Satanic killings that starts in the hills near Santa Cruz, California. The murders are real and, unfortunately for the agents, so is the magic behind them. 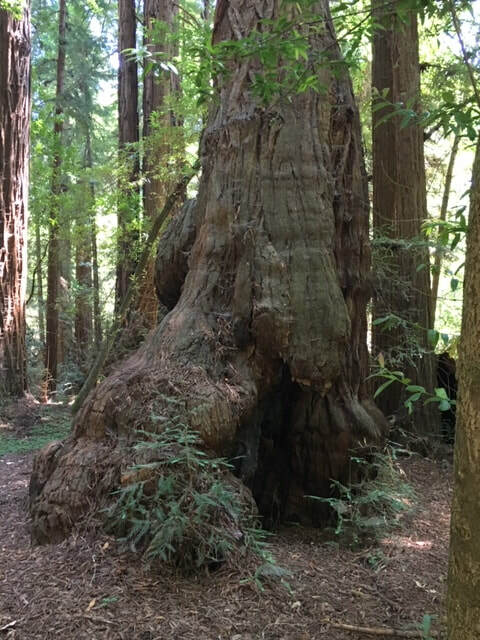 The first victim is found in a State Park near Santa Cruz. 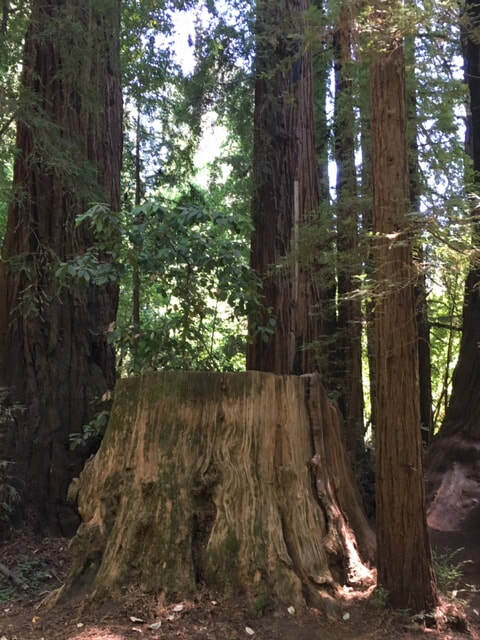 I went on a scouting expedition to Henry Cowell State Park and found so many ideas for the story. The flat-top trunk below is where I staged the victim's sacrifice. 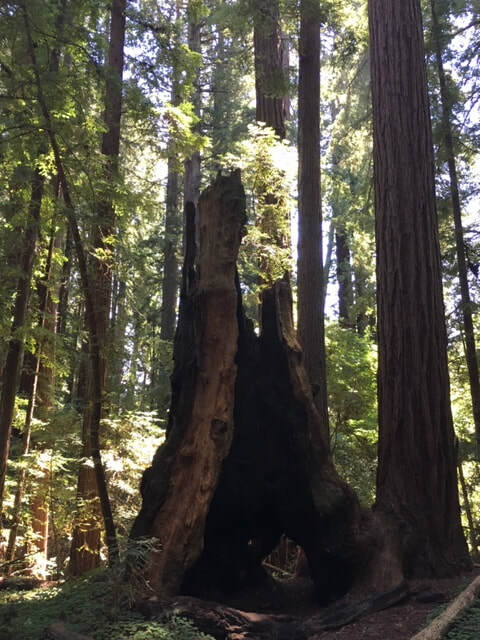 And the burned out burls of Redwood trunks gave me the idea for the hidden cave where one of the rituals has taken place.